What’s the evidence and what the ideology in the academies debate? I was interested to read your article in last week’s Glossop Chronicle about the move to compel all schools to become academies. I hope that this might reach you before the 1922 Committee meeting today where the Secretary of State for Education will give account of her plans to turn every school in England into an academy. I am Chair of Governors of a primary school in your constituency and have had the pleasure of meeting you at the school when you took the time to talk to pupils about your role as MP – a good example of the ways in which the school seeks to provide an excellent and relevant education for all pupils. I write in a personal capacity, though I know many of my fellow governors are also anxious about the proposal. I share your concerns about this imposition of change and hope that you will use your influence to persuade the Secretary of State to think again about the plan. As a former local councillor, you will be aware of the importance of local accountability and expertise. As school governor, I have found the support of both elected members (of all parties) and local officers in Derbyshire to have been of great value in helping the school improve; it is perhaps the reason why the County has one of the lowest rates for academy conversions in the country, with fewer than 10% of its schools academies. 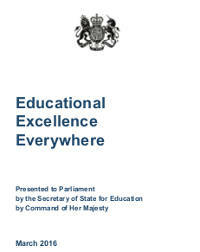 Excellence: the White Paper seeks Education Excellence Everywhere, yet the results of the academy process so far are patchy. The best academy chains are almost all located in London and the South East; Her Majesty’s Chief Inspector of Schools recently condemned many academy chains and trusts as being worse than the LAs they have replaced. 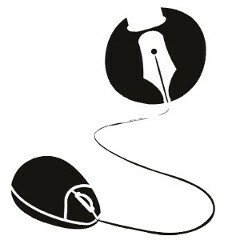 Repeatedly, researchers have been unable to show that the academy route produces better results. ‘We certainly have no evidence for primary schools,’ Professor Machin told the BBC when asked whether academies raise standards. The report this week from the Local Government Association is just the latest of these; Ofsted and the Education Select Committee have also pointed out that academies do not produce better results when the data is examined carefully rather than cherry-picked and illustrated by anecdote. Capacity: with 80% of primary schools still to convert, does the DfE have the capacity to cope in the next four to six years? The recent criticisms of the DfE’s accounts for multiple lapses do not bode well. The National Governors’ Association is just one of many respected organisations to question whether there is the capacity to cope with this huge change. Cost: at times of straitened spending and rising costs, including recent pension contribution increases – as governors, we have to balance the books and go through the accounts in detail – is it right to spend so much on a change that many schools do not appear to want? The cost has been estimated at something in the region of £1.6 billion: schools could spend that on a great deal of much needed equipment, extra staffing and professional development that would be much more likely to produce better results. Autonomy: much is made of the benefits of autonomy for individual schools and teachers. However, schools in England have for at least 25 years had great freedom under local management of schools – it is inaccurate to describe St Luke’s as an ‘LA-run school’ as though County dictated policy, curriculum and practice. Governors have, for example, played a very active part in assessing best value for services and as a result we buy support from a variety of sources, both County and private. Headteachers in Academy Chain and Multi-Academy Trusts have repeatedly confirmed that individual schools and leadership teams will actually have less freedom in the academy system. The Regional Schools Commissioner who will run schools in the East Midlands and Humber Region will be just as much of a ‘bureaucrat’ as the LA officers he or she replaces – and more remote and less accountable. For these and many other practical reasons I do not believe that compelling successful and well-run Derbyshire schools to convert to academy status will be anything other than a distraction from their responsibility to provide an excellent education for the children in their care. If anything is ‘ideological’ about the debate, it would seem to be the belief against the weight of the evidence that this huge and draining upheaval will magically improve our schools. I shall be happy to discuss this further with you and provide the sources of my statements in this letter should you wish. Next Next post: A grammar school in Glossop?